We met a couple of years ago when I found a recipe for Lentil Soup with Spicy Mustard Greens and I really liked what they added to the pot That was a delicious soup; I should make it again. 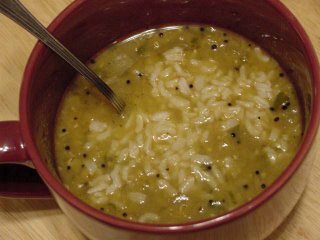 For my recipe of the week this week I decided to try Curried Red Lentil Soup. This recipe also called for these black mustard seeds and I was happy because I already had them from the other recipe. I wasn't sure they were still good, but apparently they last quite a while. To prepare them, you heat them in oil and they pop like popcorn, and then you add them to the dish at the end. They add a slightly charred (I suppose roasted would make it sound better, but it really is charred) flavor that enhances the overall effect. This recipe gets a thumb waaaay up from me. It's from the same book as the Faki (Greek Lentil Soup) recipe; so far that book's batting a thousand. 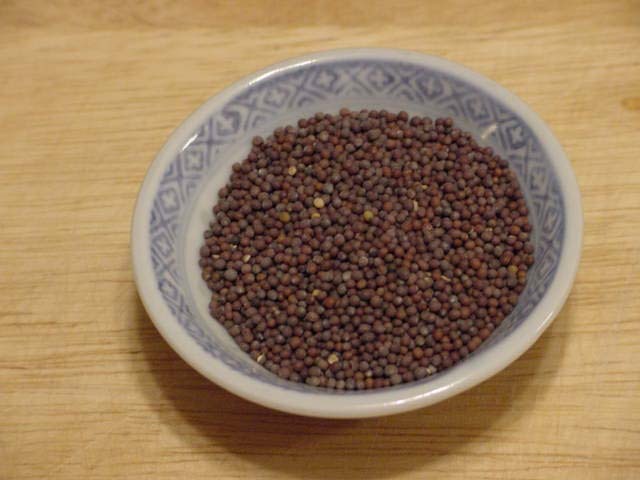 Those aren't black spots on the film--those are black mustard seeds after they've been popped! 1. By the time I got ready to make it my fresh jalapenos had gone bad (I guess they weren't so fresh after all) so I used the pickled jalapenos that I always have on hand. Those are usually spicier than fresh so I only used one instead of the two the recipe calls for. 2. I used vegetable oil instead of ghee. 3. I only used 2 tsps. of the curry powder instead of 2 Tbsp, and I'll stick to that. I think too many vegetarian type recipes try too hard to compensate for the lack of meat by piling on the spices. But that's for another post. 4. I used 2 quarts of vegetable stock and 1 quart water. In a small saucepan with a lid, heat vegetable oil with the mustard seeds. Cover pot; cook for app. 4 mins., or until popping sound stops. In large soup pot, cook onion, ginger, garlic and jalapeno in ghee. Add curry powder and cook 2 more mins. Stir in lentils, stock, salt and pepper. Bring to a boil, reduce heat and simmer until soft, app. 1 hr., stirring occasionally. Using potato masher, partially mash the lentils to thicken the soup. Just before serving, stir in the mustard seeds with their cooking oil, the lime juice, and the cilantro. Garnish each serving with a dollop of yogurt and sprinkle with more cilantro.